Apple is considering launching a new mobile ad network, according to The Wall Street Journal. The company has already talked with Pinterest and Snap about the effort, The Journal reported. The ad network would allow developers to promote their apps in other apps. Apple shuttered iAd, its first attempt at a mobile ad network, in 2016. Apple may be getting back into the mobile advertising business. The iPhone maker has held talks with Snap, Pinterest, and other companies about them joining an Apple-designed ad network,The Wall Street Journal reported. The network would place ads in the companies’ apps, and Apple would share ad revenue with the companies, according to the report. At least as it’s being conceived, the effort would build off of the business Apple runs of selling promotional ads for apps in its App Store, The Journal reported. The new network would help developers promote their apps inside other apps. The apps would be displayed when users searched using certain keywords in Pinterest, say, or Snapchat, according to the report. It’s not clear whether or when Apple will launch the new ad network. 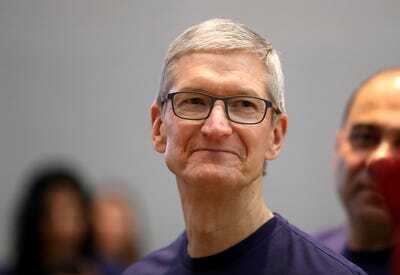 Apple CEO Tim Cook has been highly critical of other tech companies, particularly Facebook, that have built their businesses around advertising, charging that they collect far too much information on their customers. But Apple is no stranger to the advertising game. The company in 2010 launched the iAd network with the aim of placing ads in mobile apps. But the service got little traction, and Apple shut it down in 2016. That same year, the company launched its app promotion ads in the App Store. However, Apple tends to collect and use less information about its users when targeting ads than do its rivals.